Expect a proper post Monday night. Until then, please, enjoy this picture of me and a monkey. 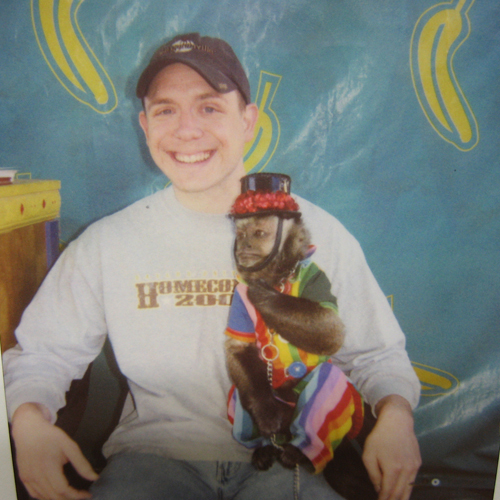 Hey… I saw that monkey at the Poteet strawberry festival. Did you? Why yes I did. The monkey was the best part of the festival. Well, besides those awesome strawberry nachos.